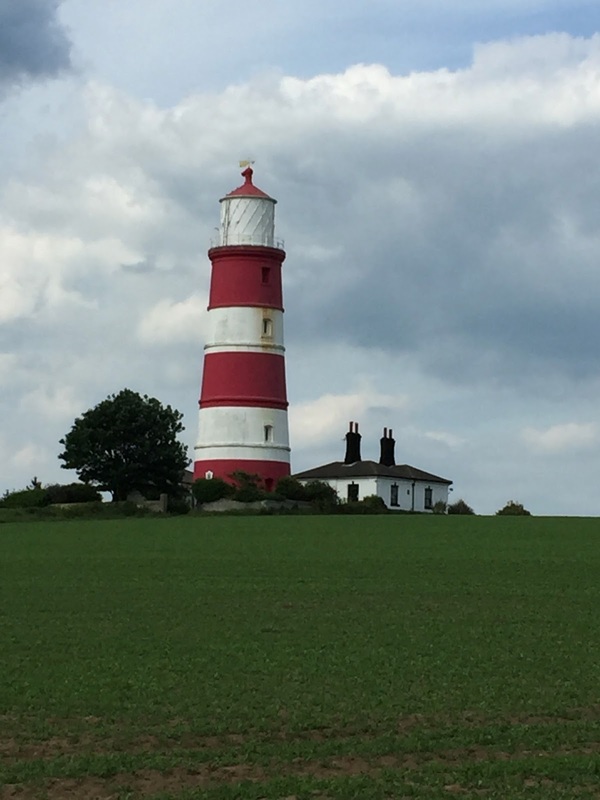 Olney doc muses: Happisburgh-a happy borough? It was a lovely day in Norfolk yesterday and it was good to visit Happisburgh. It's a remarkable little place on the north east Norfolk coast famed for its lighthouse (the only independently operated one England) and the devastating effects of coastal erosion. It's fun to hear folk pronounce the name who have never been before, it comes out something like, ''Happysborough' when in fact it should be pronounced Haze-bruh! I wonder if there is such a thing as a happy town? And what would it be like to live and work there? Of course the reality is that depression is a profound and increasingly noted experience for very many people, causing much distress to sufferers and their loved ones. And with death by suicide affecting over 6000 people in the UK every year (it's over 40000 in the US), it is a huge public health challenge . I was thinking of this whilst in Happisburgh since I have finally got round to reading Lincoln's melancholy-how depression challenged a president and fuelled his greatness which has sat on my shelves for a few years. It is a remarkable analysis of the life long struggle that Abraham Lincoln endured as he contended with severe bouts of depression. The book is full of insights from various psychological and psychiatric studies on the experience of depressive disorders and also the various treatments which were tried in the 19th century. 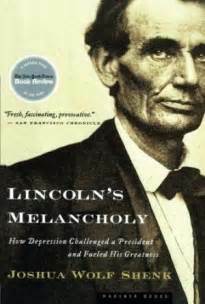 Most remarkably of all it tells of why Lincoln's longstanding depression in many ways contributed to his greatness as a leader at such a pivotal point in US history. His personality is a profound contrast with that of of Donald Trump! Lincoln's melancholy is full of so many insights its hard to know where to start, but just one sample of his wisdom, forged from his own personal struggles, and for a man so well known for his seriousness, is interesting since it's notable how important humour was to him (referred to by psychologist George Vaillant as a 'mature strategy' to combat depression). The phrase 'coping mechanism' comes from the function served by a coping, the top of the wall that protects against the elements. Humour gave Lincoln some protection from his mental storms. It distracted him and gave him a measure of relief (it's interesting that many of our comedians also suffer with depression-my note). As president Lincoln was asked why he would pardon soldiers who deserted for cowardice, he said, "It would frighten the poor devils to death to shoot them". Any contribution that might help us all understand the experience of depression and offer insights into managing it, is to be welcomed. This remarkable book does both and offers a helpful view of what one might almost call the potential 'positive effects' of depression-which of course may well be impossibly hard to appreciate whilst in the midst of a severe depression.